Prefixes are the letter/s which sit before a stem to make new words. These letters are also called affixes. Affixes generally have no meaning by their own but can form meaningful words by sitting before/after the stems. In the case of prefixed words, affixes sit before the stems of the words. 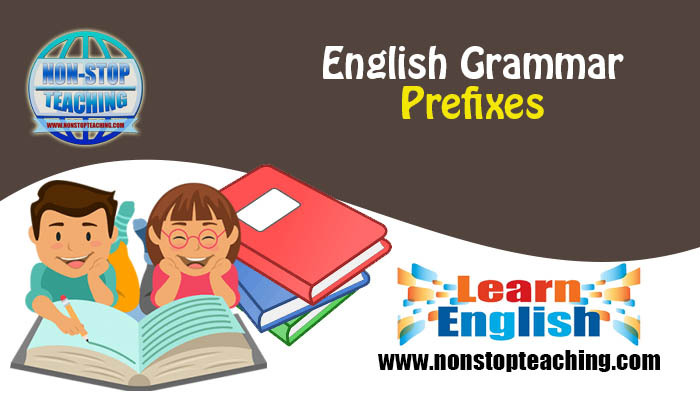 Prefix = ‘fix’ is a stem and ‘pre’ is a prefix which changes the meaning of the stem and creates a new word. Prefixes are the letter/s which sit before a stem to make new words. These letters are also called affixes. Affixes generally have no meaning by their own but can form meaningful words by sitting before/after the stems. In the case of prefixed words, affixes sit before the stems of the words.